Americans are as eager to work as ever. Just no longer for somebody else. According to FreshBooks, a cloud-based accounting company that has conducted a study on self-employment for two years, the number of Americans working for themselves looks to triple—to 42 million people—by 2020. The trend, gauged in a survey of more than 2,700 full-time US workers in traditional, independent, and small business roles about their career plans, is largely being driven by millennial workers. FreshBooks estimates that of the next 27 million independent workers, 42% will be millennials. The survey, conducted with Research Now, also finds that Americans who already work for themselves are suddenly very content to keep doing so, with 97% of independent workers (up 10% from 2016) reporting no desire to return to traditional work. With the continued trend towards more freelancing and the growth of a more contingent workforce…have our students had enough practice in selling themselves and their businesses to be successful in this new, developing landscape? We need to start offering more courses, advice, and opportunities for practicing these types of skills — and the sooner the better! I’m serious. Our students will be far more successful with these types of skills under their belt. Conversely, they won’t be able to persuade others and sell themselves and their businesses without such skills. Robo retail: The automated store of the future is heading closer to our doorsteps. The automated store of the future is heading closer to our doorsteps. Self-checkout and online delivery services might soon be outmoded. Automated, cashier-less and mobile, doorstep-accessible shopping outlets are popping up globally—these offer not only a quick and seamless shopping experience, but also allow customers to handpick the items they are seeking. This is just the tip of the iceberg. While Amazon Go currently only operates in Seattle, two other mobile concepts are hoping to reach a wider audience by physically bringing roving stores directly to the consumer. 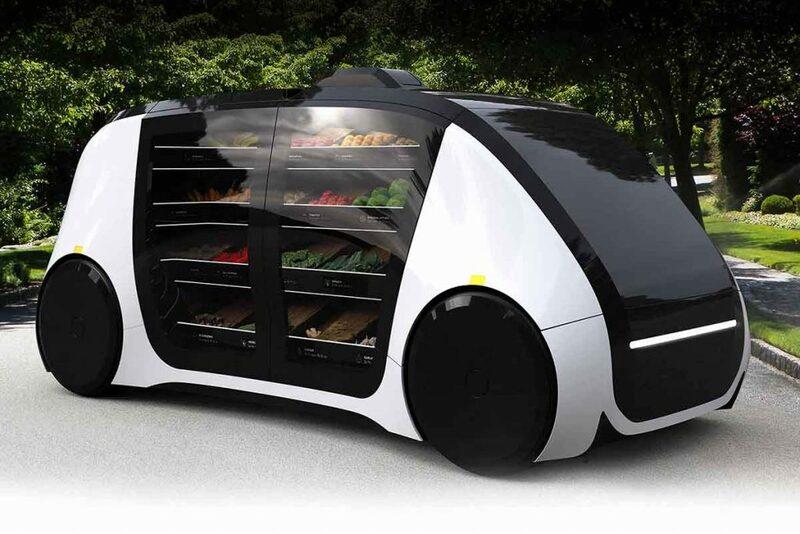 Robomart, based in the Bay Area, is a prototype tap-to-request grab-and-go food mart. Conventional grocery delivery services like those run by Amazon, FreshDirect or Instacart don’t let customers select products for themselves. If you’re particular about the ripeness of an avocado or conscious about bruises on tomatoes, being able to choose your own produce is essential. An autonomy-focused platform like Robomart puts consumers in the metaphorical driver’s seat, while still maintaining a high level of ease. These days, education reformers, evangelists and foundations pay a lot of lip service to the notion of lifelong learning, but we do little to invest in the systems, architecture and infrastructure needed to facilitate seamless movements in and out of learning and work. Talk of lifelong learning doesn’t translate into action. In fact, resources and funding are often geared toward the traditional 17- to 22-year-old college-going population and less often to working adults, our growing new-traditional student population. We’ll need a different investment thesis: For most adults, taking time off work to attend classes at a local, brick-and-mortar community college or a four-year institution will not be the answer. The opportunity costs will be too high. Our current system of traditional higher education is ill-suited to facilitate flexible, seamless cost-effective learning pathways for these students to keep up with the emergent demands of the workforce. We have to do better. Let’s begin seeding the foundational elements of a learning ecosystem of the future—flexible enough for adults to move consistently in and out of learning and work. Enough talk about lifelong learning: Let’s build the foundations of that learning ecosystem of the future. 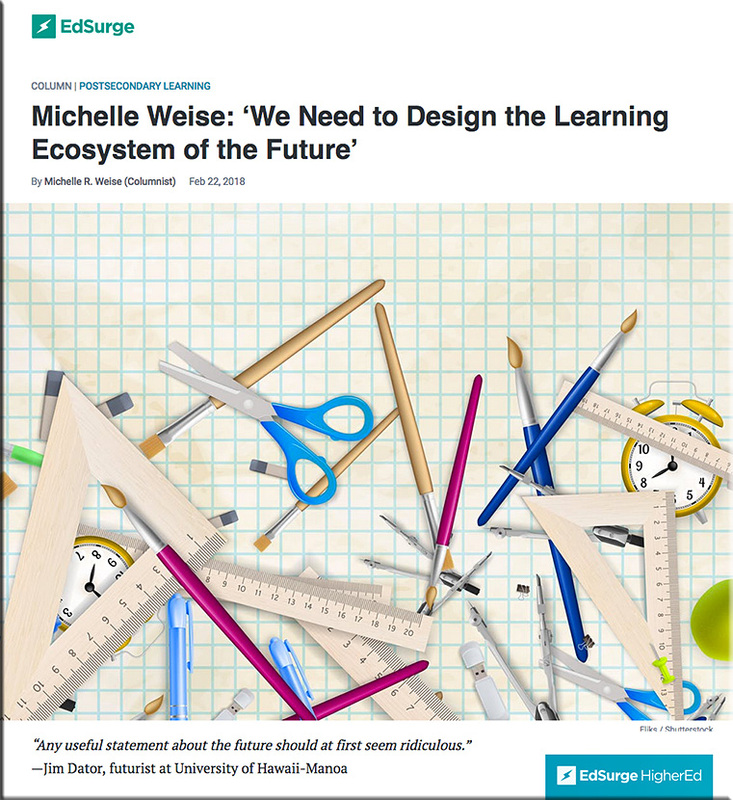 I couldn’t agree more with Michelle that we need a new learning ecosystem of the future. 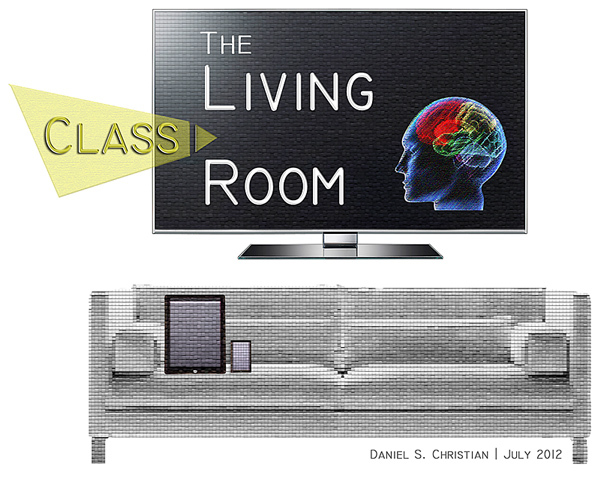 In fact, I have been calling such an effort “Learning from the Living [Class] Room — and it outlines a next generation learning platform that aims to deliver everything Michelle talks about in her solid article out at edsurge.com. Working learners will also need help articulating their learning goals and envisioning a future for themselves. People don’t know how to translate their skills from one industry to another. How does a student begin to understand that 30% of what they already know could be channeled into a totally different and potentially promising pathway they never even knew was within reach? Oh…that should be no problem for people. Just master these 5 peak performance zones. As people lose their jobs to AI, robots, bots, algorithms, automation and the like — and try to reinvent themselves — many people won’t have the skills, interests, aptitudes, funding, background/prior knowledge, etc. to carve out their niches, to find out how to build teams that utilize robots and AI, and to make sense of complex systems. How many of us truly understand the world we’re living in these days? No one does. How unrealistic can we get? It’s like saying, “Everyone can learn to code. No problem.” That’s not true at all, especially given the current state of computer programming. Many (most?) people simply don’t think that way. That’s why programmers are always in demand and they are often highly paid. Why? Because most people don’t want to do it, can’t do it, or choose not to do it. Make yourself known through reputation management: Carve out your niche and brand across a variety of platforms to distinguish yourself from the crowd. Master human and machine collaboration: Know how to build teams that utilize robots and AI, as well as humans. Build your tribe: Personal networks and social connections will take you to the next level in a tech-focused world. Make sense of complex systems: The ability to be creative and connect the dots between different industries and organizations will be rewarded. Build resilience in extreme environments: Learn to thrive in more a risk prone society and build yourself new safety nets. These changes are coming, and we need to tell the truth and the whole truth. We need to find the jobs that AI can’t do and train people to do them. We need to reinvent education. These will be the best of times and the worst of times. If we act rationally and quickly, we can bask in what’s best rather than wallow in what’s worst. If a business has a choice between hiring a human being or having the job done by a piece of software and/or by a robot, which do you think they’ll go with? My guess? It’s all about the money — whichever/whomever will be less expensive will get the job. However, that way of thinking may cause enormous social unrest if the software and robots leave human beings in the (job search) dust. Do we, as a society, win with this way of thinking? To me, it’s capitalism gone astray. We aren’t caring enough for our fellow members of the human race, people who have to put bread and butter on their tables. People who have to support their families. People who want to make solid contributions to society and/or to pursue their vocation/callings — to have/find purpose in their lives. What to do about that? The report’s main recommendation is that people and companies developing AI technology discuss safety and security more actively and openly—including with policymakers. It also asks AI researchers to adopt a more paranoid mindset and consider how enemies or attackers might repurpose their technologies before releasing them. In the cult sci-fi classic The Hitchhiker’s Guide to the Galaxy, you slide a yellow Babel fish into your ear to get translations in an instant. In the real world, Google has come up with an interim solution: a $159 pair of earbuds, called Pixel Buds. These work with its Pixel smartphones and Google Translate app to produce practically real-time translation. One person wears the earbuds, while the other holds a phone. The earbud wearer speaks in his or her language—English is the default—and the app translates the talking and plays it aloud on the phone. The person holding the phone responds; this response is translated and played through the earbuds. Are you looking for ways to make your eLearning course stand out from the crowd? What if I told you there is technology that can help you achieve not only that but also increase online learner engagement and motivation? 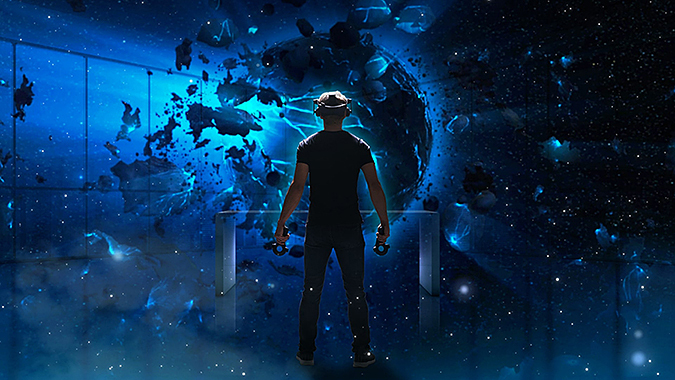 In this article, I’ll share the most notable benefits of using Augmented and Virtual Reality technologies in your eLearning course. Although their full implications are yet to be explored, alternate reality technologies make eLearning more engaging and productive. They are here to stay, and who knows what benefits they will bring to future learners. As the technology evolves, so too will the applications in eLearning. Which is why it’s essential for eLearning pros to keep up with cutting-edge tech and think of new and innovative uses for AR and VR tools. 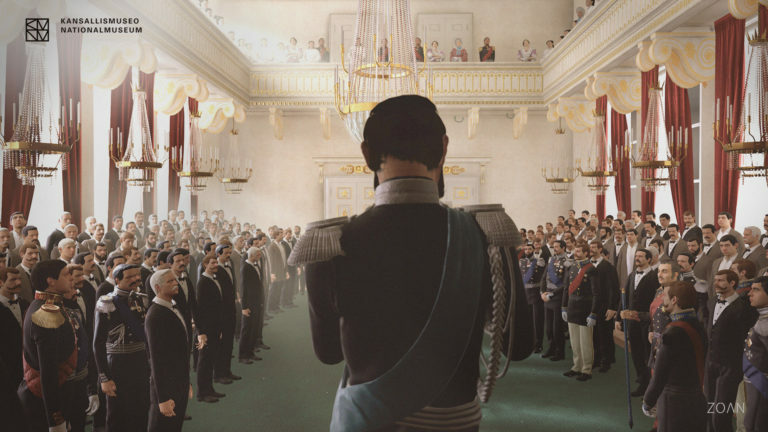 Visitors can step into the world of Finland in 1863 with the power of virtual reality. New devices will end ‘historic disconnect’ in doctors’ treatments of patients. Augmented reality (AR) technologies that blend computer-generated images and data from MRI and CT scans with real-world views are making it possible for doctors to “see under the skin” of their patients to visualize bones, muscles, and internal organs without having to cut open a body. 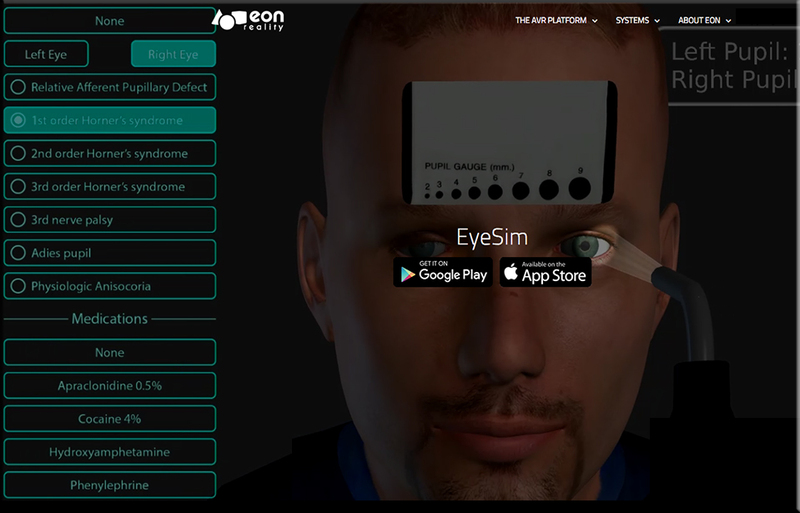 Experts say AR will transform medical care by improving precision during operations, reducing medical errors, and giving doctors and patients alike a better understanding of complex medical problems. 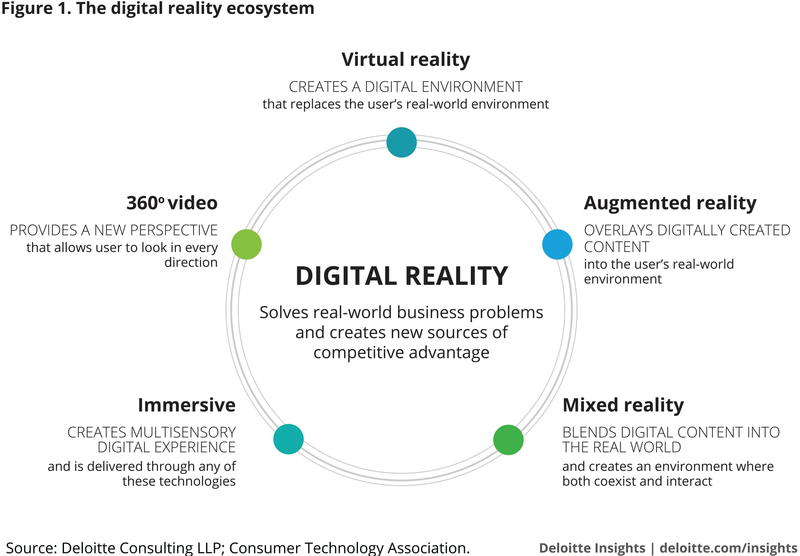 Digital reality is generally defined as the wide spectrum of technologies and capabilities that inhere in AR, VR, MR, 360° video, and the immersive experience, enabling simulation of reality in various ways (see figure 1). Tools/content—platforms, apps, capture tools, etc. Application content—information from industry, analytics, social, etc. Infrastructure—hardware, data systems, HMDs, etc. Increasing investment in infrastructure may drive the growth of software and content, leading to new practical applications and, possibly, an infusion of digital reality software development talent. 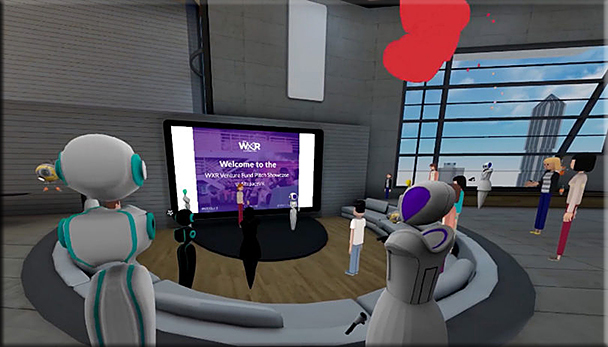 Hailing from 26 countries across the world, people came together in virtual reality to cheer on these top female founders in the XR industry. 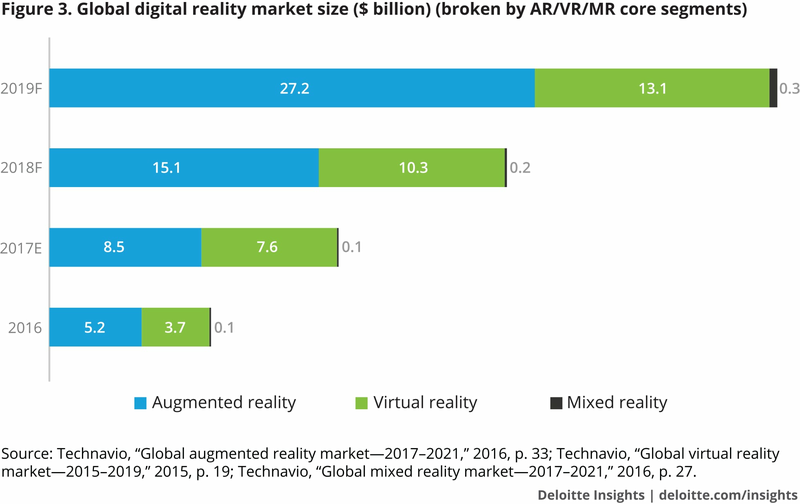 Concerning the need for a VR/AR eco system Max referred to the challenge of technology adoption: people need to be able to try different use cases and be convinced about the potential of AR ,VR and MR. 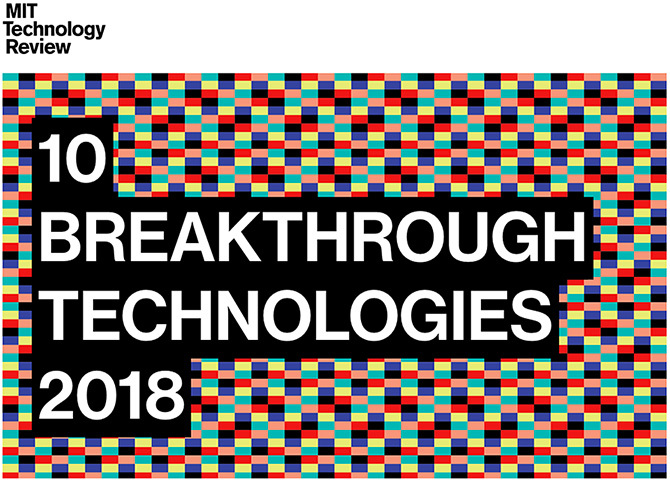 In order to become available (and affordable) for consumers, the technology would have to be adapted by businesses first as the story of 3D printing shows as one example. He also highlighted the importance of the right training for users to reduce the general learning curve for immersive technology. Poor instructions in the first instance can lead to bad user experiences and cause doubt and even a dismissall of ‘new’ technologies. We do have a robust entry demo process to combat this but at the consumer level, and this is as true for VR as much as it is for MR and AR, there is little room for error when learning curves are concerned. 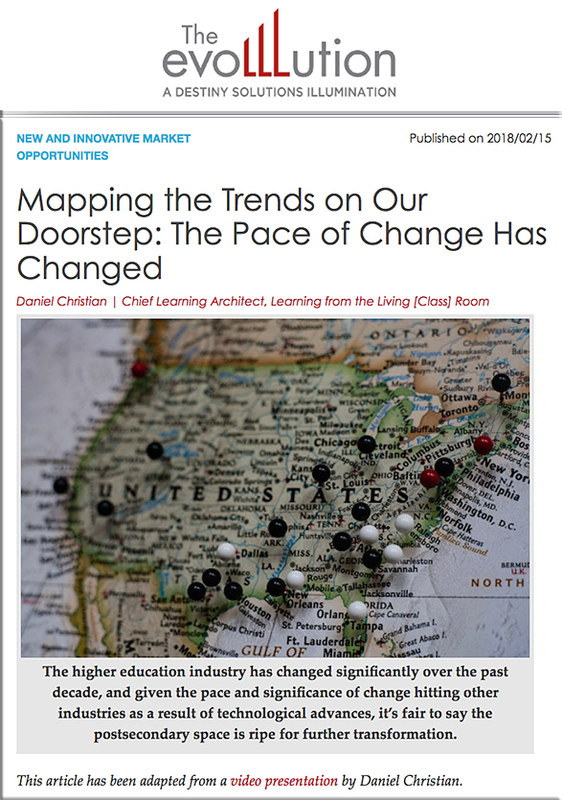 Mapping the Trends on Our Doorstep: The Pace of Change Has Changed — from an article that I did out at — and with — evoLLLution.com [where LLL stands for lifelong learning]; my thanks to Mr. Amrit Ahluwalia, Managing Editor out at evolllution.com and to his staff as well! From the perspective of those of us working within higher education, we see massive changes occurring in the corporate world, and we see innovations and changes also occurring in the world of K-12. Higher education should also be adapting, changing, questioning, and reflecting upon how we can best prepare our students for a rapidly changing workplace. 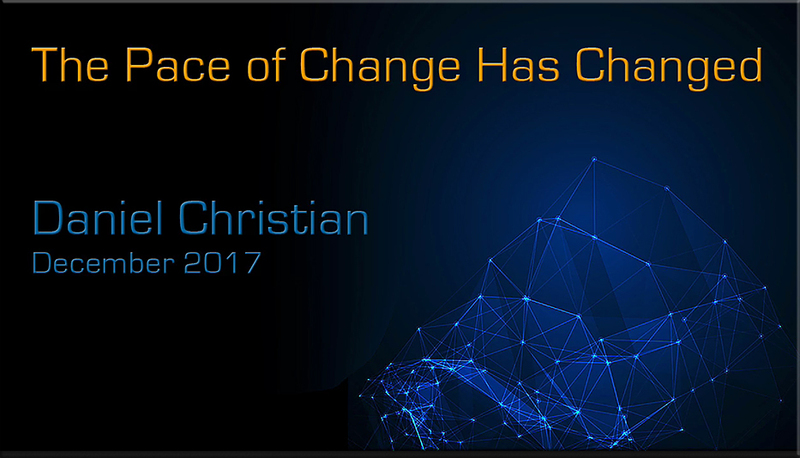 Below is another interesting item that I believe gives credence to the idea that we are now on an exponential pace of change. Companies are coming and going on the S&P Index…at an ever faster pace. 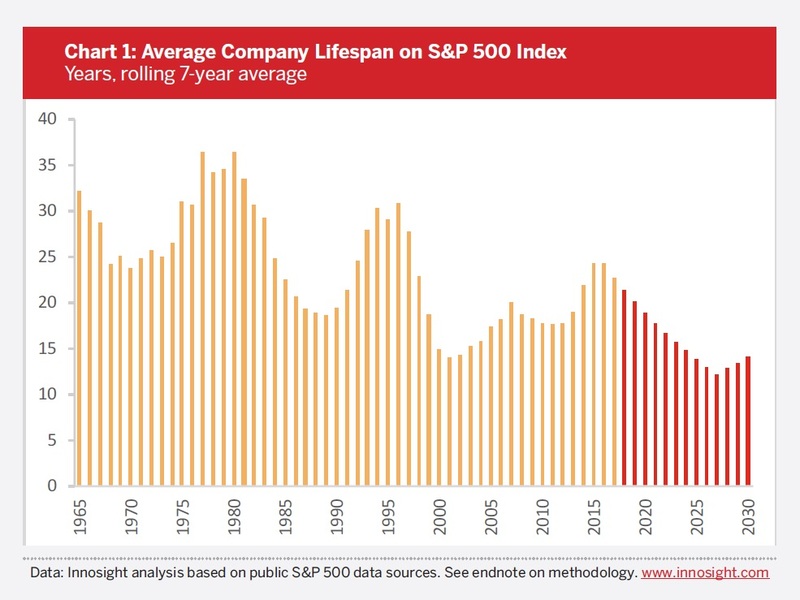 The 33-year average tenure of companies on the S&P 500 in 1964 narrowed to 24 years by 2016 and is forecast to shrink to just 12 years by 2027 (Chart 1). This is the transcript with the original graphs in it.